We are very happy to inform you that the film that Mahmood, Danish and I have been working on is now complete and has been accepted as an entry to the world cinema competition section at the Sundance film festival 2010. Previously our film was called The Falling... the name has now changed to PEEPLI LIVE. These photographs are courtesy Athiran Santhosh Soman. Any usage requires his explicit permission. 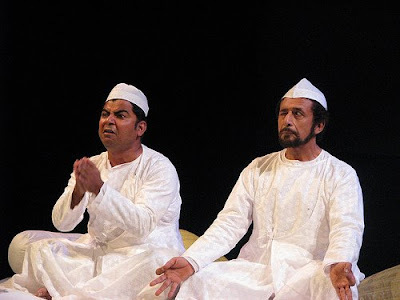 The photographs are from our recent performances at Prithvi Theatre on July 13 and 14, 2009 as part of the Motley Festival. A possible line up of our future performances as of now is listed below. These dates are tentative and we'll keep revising this post as and when we get more information. Thank you for supporting us and hopefully there'll be many more Dastans to fill our lives. Aug 03, 2009 at 1.30 pm at St. Stephens College, University of Delhi. 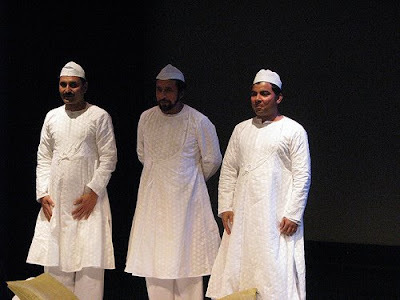 Aug 04, 2009 at 7 pm at National School of Drama, Delhi. The performance will be followed by a lecture and Q&A session. August third week, Lucknow. We'll fill in the details later. Sep 07, 2009 at 6.30 pm at NCPA, Mumbai as part of the Motley Festival. Oct 02-03, 2009 Bangalore. 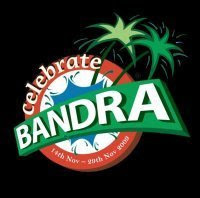 Sponsored by India Foundation for Arts. Dec 03, 2009 at Park Festival, Chennai. 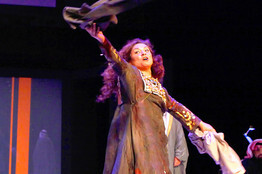 Dec 12, 2009 at Park Festival, Kolkata. Meanwhile, we'll keep you informed if more performances get thrown in. This video is courtesy Muslim Voices Festival organizers. Any transmission or usage of this video requires explicit permission from them. We have only posted this video for demonstrative purpose. 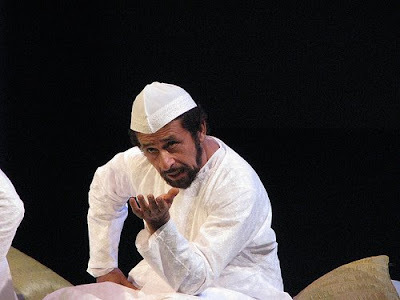 They are excerpts from the Dastangoi performances on June 7 and 8, 2009 at Lila Acheson Wallace Auditorium, Asia Society, 725 Park Avenue, NYC. 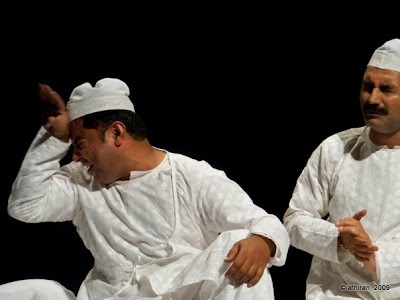 We'll post more pics from the Motley Festival performance at Prithvi in Mumbai on July 13 and 14, 2009 and also information on our forthcoming performances at Delhi, Lucknow, Mumbai, Bangalore, Chennai and Kolkata. So please actively visit our blog. 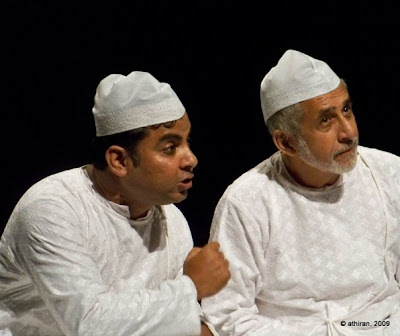 We'll be repeating our New York Performances as part of the Motely Festival at Prithvi Theatre, Juhu, Mumbai on July 13 and 14, 2009. The show timings are 6:00 pm and 9:00 pm on both the days. Would be lovely if most of you present in Mumbai could join us there. Please contact Prithvi Theatre or Motely (Jairaj Patil +91-982.015.4838) for more details. Meanwhile, enjoy some pics from our New York performances. Photographs courtesy La Frances Hui.